Enter your correct tyre size and we will get you a price instantly! Call us on 01376 511177 for sizes and prices! First question was do I want a tea or coffee? Great customer service followed by great tyres. Hassle free won’t be going anywhere els now. Really nice guys here. No wait time, had my tyres done in a flash and at a very reasonable price. Wouldn't go anywhere else! Must use tyre stop shop, top shop. Great service , prices and coffee . Thanks guys . Been using these guys for years, back when they were in maldon. Always good service, fair prices and first rate advice. Found based on some recommendations online. Absolutely amazing service and very open. Wheels aligned nicely with full explanation. In and out within an hour. Excellent friendly service as always, never any hidden costs. Always consulted before works carried out. Higly recommended! Warm waiting room, cuppa whilst you wait and clean toilets! Genuinely exceptional. Called in the AM, same day service, took 15 minutes whilst I waited. Staff were courteous and polite, great prices. I wouldn't go anywhere else for tyres. Thank you. Found these guys by chance. What can I say, professional and helpful from the get go. Sorted out an older Audi S3 for me with no drama. I recommend you give them a go. There are not many companies of this caliber around anymore. Top service. went for a puncture repair and was sorted in no time for £20 highly recommend. I drive a lot for work and have done for years. I have been through plenty of tyres in this time. Today I went to Tyre-Smart and was very impressed. Smart, polite, efficient and quick service. Large, comfortable seating area too. Can't rate these guys highly enough. Fantastic service and really know what they are doing. Nothing is too much trouble, comfortable waiting area and good tea. Will use them for all our cars now. Great prices. Friendly service with free hot drink. Could not be more helpful. Third time of using this company. Booked for fitting and alignment via Blackcircles though there was little difference in price if I had gone direct to them. Turned up just after 08:00 and was greeted with an offer of tea or coffee whilst my car was taken in. 45 minutes later all four tires replaced and alignment done. 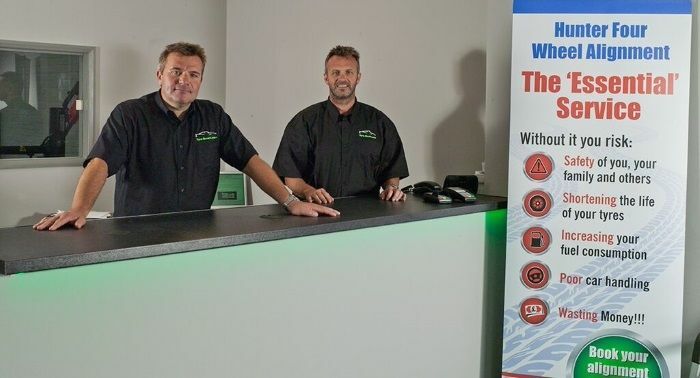 The whole operation is smart, nice reception with clean toilets, friendly staff who are well presented and a lovely clean garage. Very efficient. Polite. Free coffee. Was there as soon as I drove in. I love these guys, the most humble people I have ever met. Especially, how they gave me a diagnosis without; charging or pressure. Keep up the good work gents. Unfortunately I am moving out of Essex, I certainly will not find your kind anywhere in the world let alone UK!!! Recommended by our mechanic as the best place to go locally to get your tracking checked, we found the service fast, efficient and friendly. Would use again. Helped out with a locking wheel nut issue, after Ford a main dealer could not help I called these guys up, said to bring it up and within 2 minutes it was off. 100% for service and work. thanks again. Rosewood Car Sales. 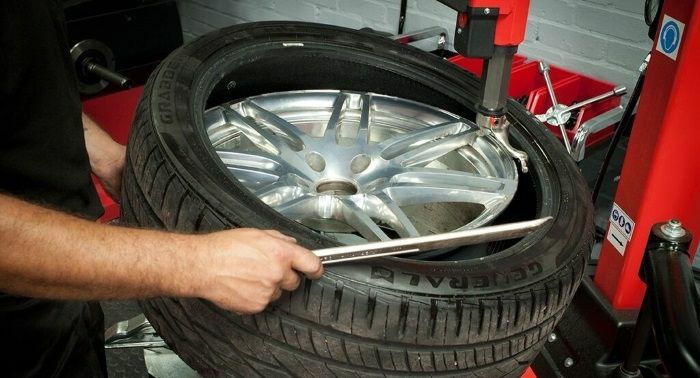 Very knowledgeable, and helpful with a huge range tyres to choose from. Great staff quick turn around, smashing service! Always come here for tyres. Staff are knowledgeable and helpful. Wouldn't go anywhere else! Really friendly service, very good selection of tyres for all price ranges. Will definitely by my place of choice for tyres in the future! Fantastic service sorted my tracking out in 20 mins good honest and reliable. Excellent customer service from start to finish. Very friendly guys. I wouldn't go anywhere else. These guys are real professionals entrusted with the most expensive and exclusive vehicles in the area. If you have a performance car you will know how important the tracking can be and this place has some seriously advanced kit. 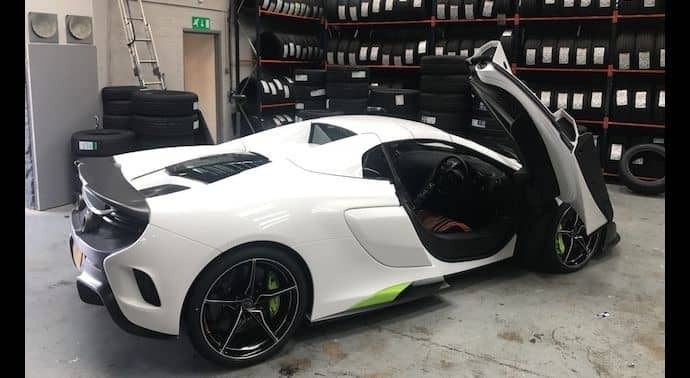 Another thing I like about them is that they always seem to have my tyres in stock. They even offer me a choice of brands! There is a lot of care and understanding here which is important to me. Ultimately I want my car to stay on the road in extreme situations and tyres are so important that I want the best people on the case. Maybe you could save a few quid elsewhere, but if you put £6.50 above service and safety then good luck to you. What's more, they always offer me a cup of tea. They do coffee as well though, so it's all good really. THE best and most friendly tyre shop going. I enjoy my visits here and feel very well treated. No I don't work there and yes I'm a paying customer! Very friendly and helpful staff. I didn't compare prices before I went, but I think I paid a fair price for the tyres and work done. Just got back from Tyre Smart. I initially trained as a mechanic, before joining the Fire Service then later as a Paramedic in the Ambulance service. 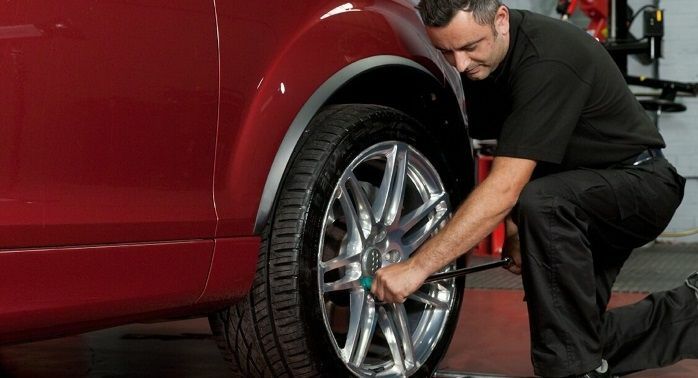 So mechanical knowledge and safety are a major factor when I choose a garage or tyre service. Been so unimpressed with your “kwikfits and your Ats’s in recent times but these guys are amazing. Tyre smart are so friendly, welcoming and above all very knowledgable. I was after very specific service to do with camber and castor angles. Didn’t have to explain they sorted it and kept me informed of the progress. Very professional. Will definitely be recommending to all my colleagues in the nhs. Long trip but they did what they promised in the time they said - good job! These guys are awesome. Really friendly combined with unrivalled quality service. Been there four times already and have been impressed with 4 wheel geometry enhancements (including patience with it) and ethics/standards on tyre fitting. Highly recommended. 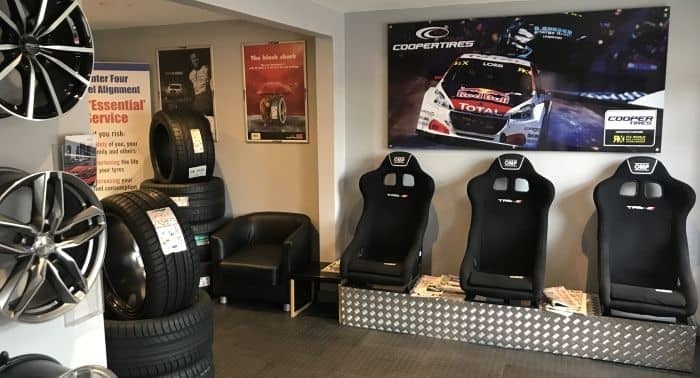 Friendly independent tyre shop. Use them before the multi-nationals take over completely! Fast service, friendly and competent staff. 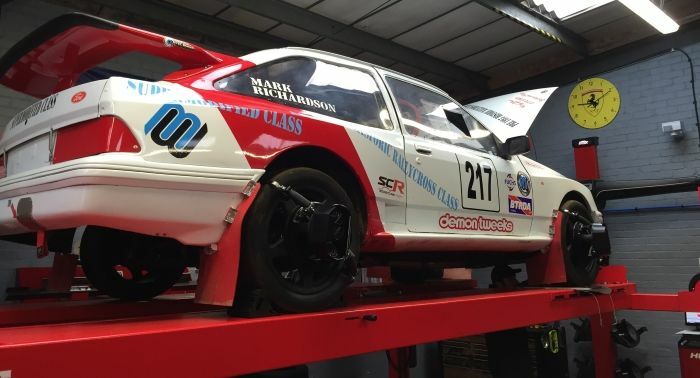 Took my Astra GSi into these guys for wheel alignment as they can cater for low suspension set ups. Very knowledgable, friendly and helpful staff. Great job would recommend to friends. Professional car tyre service! I recommend to everyone!!! Absolutely fantastic service. Really friendly and fast. Had both my back tyres changed before I could finish the cup of tea made for me. Highly recommended and will be returning next time I need tyres! Excellent service from this place. Got there and the guy was waiting behind the car as soon as I got out. They seem to have plenty of staff and did a quick turnaround on what was only a puncture. The waiting room is very clean and tidy. Will definitely use this place again..
Great company, very helpfull and welcoming! Great friendly customer service and very competitive prices. Nice clean waiting area too! Have to say the team at Tyre-Smart are a credit to the business. Very professional, courteous and reasonable prices as well. Always a smile & a coffee. I would highly recommend them to anyone. Very good, fast and nice service. Efficient fast service with very reasonable prices. Waiting room is very clean and tidy and get offered a tea of coffee while you're waiting for your car to be done. Would recommend and would use again. Outstanding service. ...it's a pity some off the larger companies out there didn't treat people like tyre smart does. Prices are fair the service excellence. Quality service from friendly and knowledgeable staff. solidly made work quickly and without having to make an appointment in advance, everything you get on site, very nice service, a place worth recommending. Very very good place !!! Very friendly people. Good and honest. And at a good price. Jamie and Glen are top blokes, best tyre shop around with best equipment , very friendly and efficient service. Highly recommended specialist. Absolutely incredible. I visited in my lunch break to diagnose an issue I was having, they immediately checked my alignments, spotted the issue and replaced two tyres and performed a tyre rotation within an hour! They even make nice tea! The car drives so much better now, thanks Tyre-Smart! Really good service and good honest advice. Would reccomend. Brilliant service. Would highly recommend & good prices. Fantastic service and value for money. Would not go anywere else for tyers now. Excellent service! Visited Tyre-Smart to get winter tyre's put on my car. I received a warm friendly greeting and was offered tea or coffee while I waited in a really clean, comfortable and smart reception / waiting area. These guys are super knowledgeable and helpful. Excellent customer service. In no time at all my car was ready. Thank you Tyre-Smart! Great service, very professional and reasonable prices! I will be returning! Excellent service and brilliant customer care. Top blokes. Went for a wheel alignment and the car is now absolutely spot on. Friendly and helpful. Will use again. Very good service. Even had a cup of tea whilst waiting. 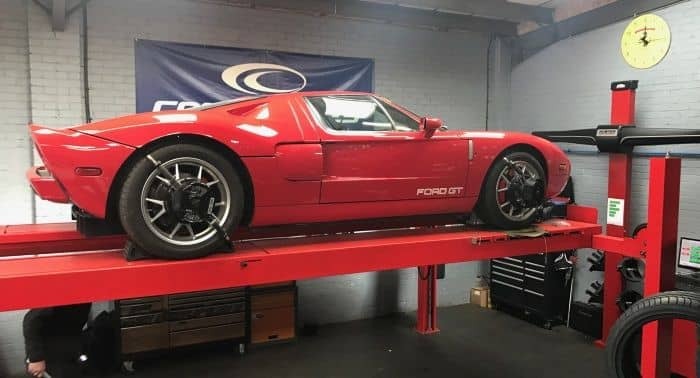 I've visited twice in recent weeks for wheel alignment and wheel balancing. I travelled from Kent purely because of the quality of the workmanship/customer service. I cannot find anywhere local to where I live that can compete with these professionals, they are the best. Professional and quick, good price! Brilliant efficient service. Cleanest workshop I've ever seen. Recommended. Great, fast service with friendly professional staff. Great service from start to finish. First time I've used them. Will definitely go back and recommend to others. Thank you. Friendly service nice comfortable waiting room even offered a cup of tea. Can't fault it. Very quick and in the grand scheme of things inexpensive service. Very friendly. Excellent value and service. Bought two Toledo tyres, budget Chinese made, but they have a B rating for wet weather and the mechanic recommended them. Turned out to be excellent tyres for normal road use and they grip as well as the premium tyres they replaced. Would recommend Tyre-Smart to others. Nice friendly staff and competitive prices.have always been prompt as well. These guys are very impressive. They know their business and get on with it efficiently, quickly and with excellent customer service. I won't be going anywhere else, which says something as I live some 35 miles away! Popped in first thing this morning to have a single tyre changed and fitted. I was greeted in a friendly manner as I pulled up outside with service straight away. They quickly identified a good priced replacement and fitted it within minutes. They did a free 'tracking alignment' test for me whilst I sat comfortably in the clean waiting room having been offered a coffee. You alway expect workplaces like this to be dirty and dingy but this place was spotless. And every single staff member, not just those on the front desk were polite, courteous and helpful. Great prices, great little work unit and great service. Would highly recommend to others in the Witham area and its a good way of supporting the small self-owned businesses rather than the large corporations who try and shaft you as much as they can!! Thanks guys. Excellent, Rapid and friendly service. Absolutely fantastic! Alignment was done for my 4runner .I am try's do it in other garages but just wasting time and money. This gays really understand what they doing. Highly recommend for every one. Well done! Great and efficient service! 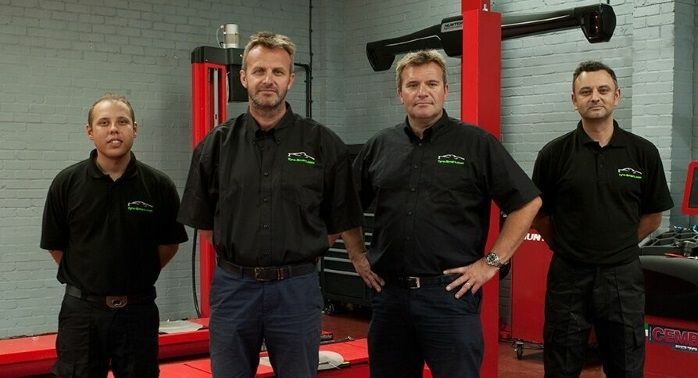 As a young female driver I was really impressed with the guys and would recommend their garage! Brilliant service by the fab friendly team at tyre smart. Would highly recommend. This outfit were really efficient keen and friendly. 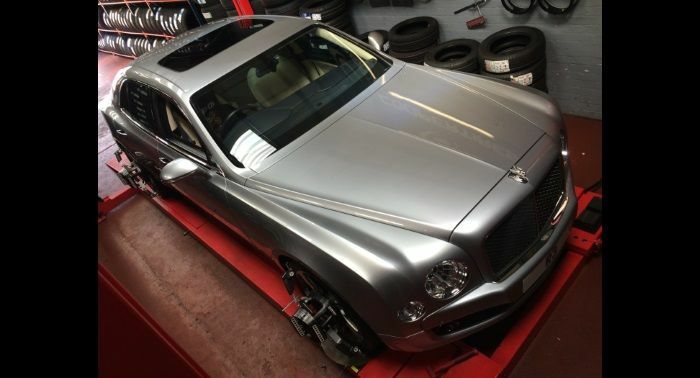 They actually made buying and fitting tyres a pleasurable experience - I know that sounds crazy but try them and see. Well done guys, never thought I would feel the need to write a review like this. 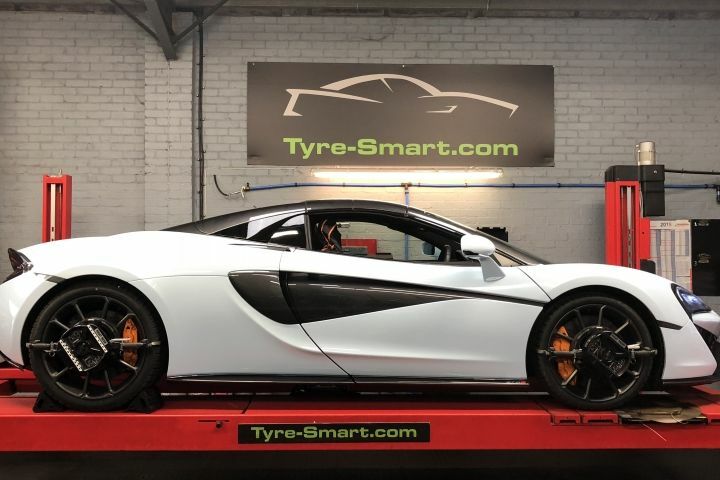 The service provided by Tyre Smart was fantastic. They were able to advise on the best tyres for my Jeep at a reasonable price. The place is tidy and organised and the technicians were all smart. 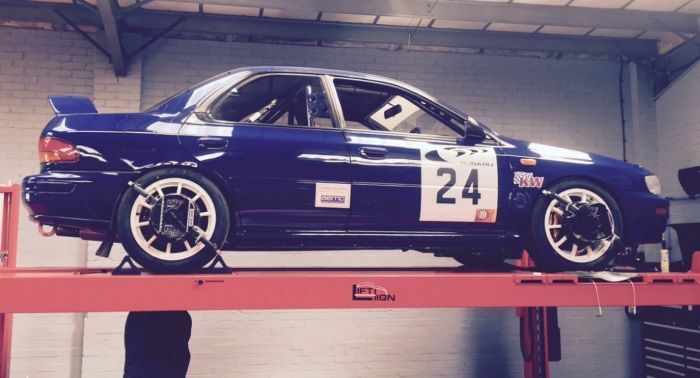 Tyres were fitted promptly with no delay. Would highly recommend their service. Had two tyres fitted to my truck. Great service at a cracking price. I was amazed with the service i just received 10/10. 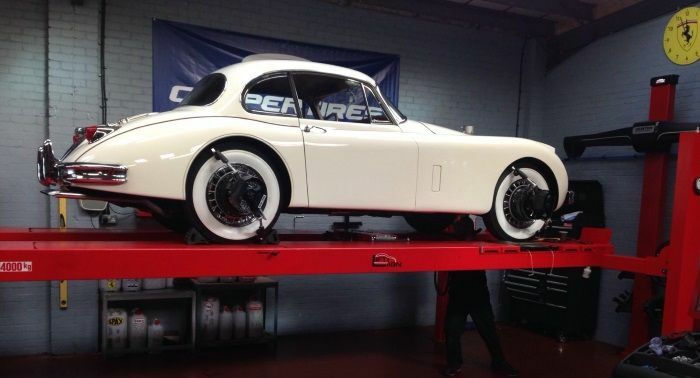 Very helpful, really cheap and fantastic wheel alignment equipment being used. Tyre-Smart were brilliant and and changed a full set of tyres for me while I waited. The service was friendly and professional and I would totally recommend them. GREAT TYRE SHOP,VERY GOOD PRICE AND QUICK AND FRIENDLY SERVICE,WOULD RECOMMEND. 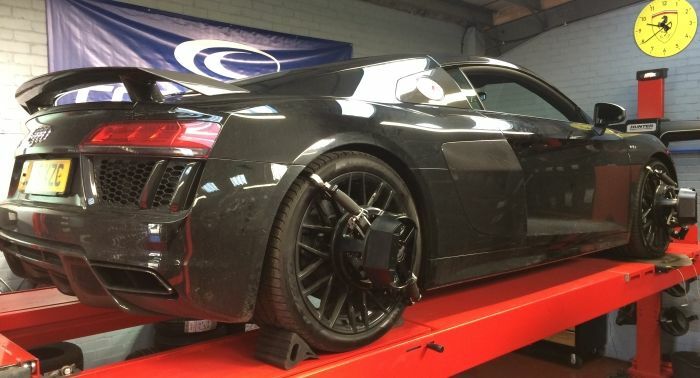 I use Tyre Smart for my all cars, from a Land Rover Defender to a Ferrari 458. These guys really know what there doing and the service is excellent. I would highly recommend them. Had 2 rear tyres fitted on my 3 series Bmw. Excellent service, best price locally and nitrogen inflation included in the price! 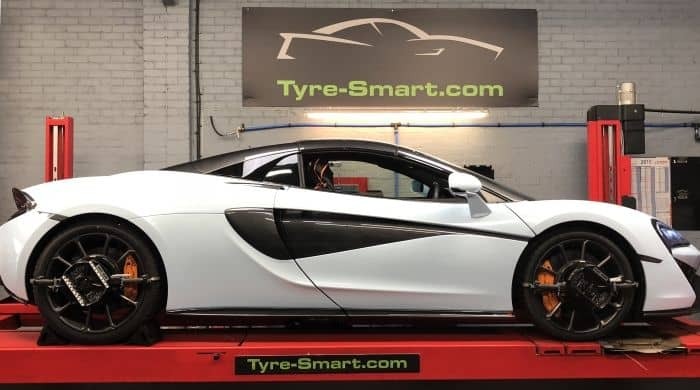 I couldn't ask for a better service from Tyre Smart. As soon as you walk into the garage you know straight away your are in safe hands. The professionalism, expertise and knowledge given by the staff was exceptional. I shall definitely be going back and will be recommending to all my friends. Had these guys put a tyre on my daughter’s fiat 500 after she curbed it. They did a great job sorting out the tracking on the car for me. 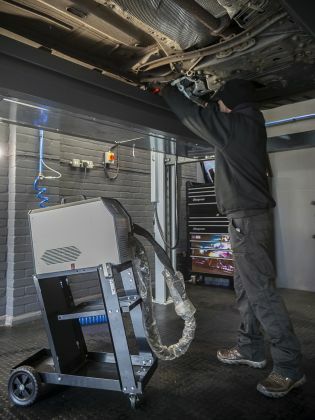 Tyre-Smart boasts a dedicated computerised 4 wheel Hunter alignment system featuring the steering angle sensor re-set system - with fully Hunter trained technicians to operate it. 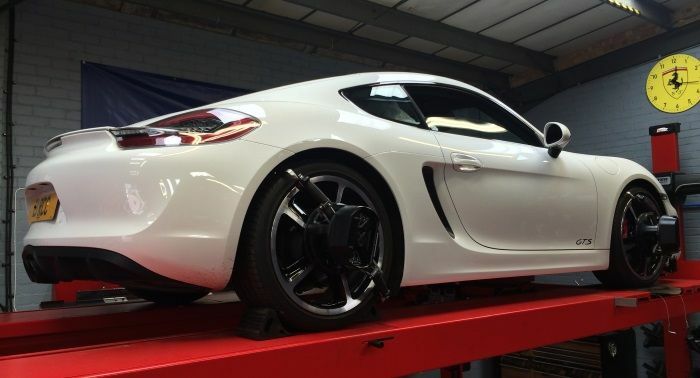 Correct Wheel Alignment can cure uneven tyre wear, improve vehicle handling and increase your vehicles fuel economy.